The Economy gate has our 4″ spacing between the bars. 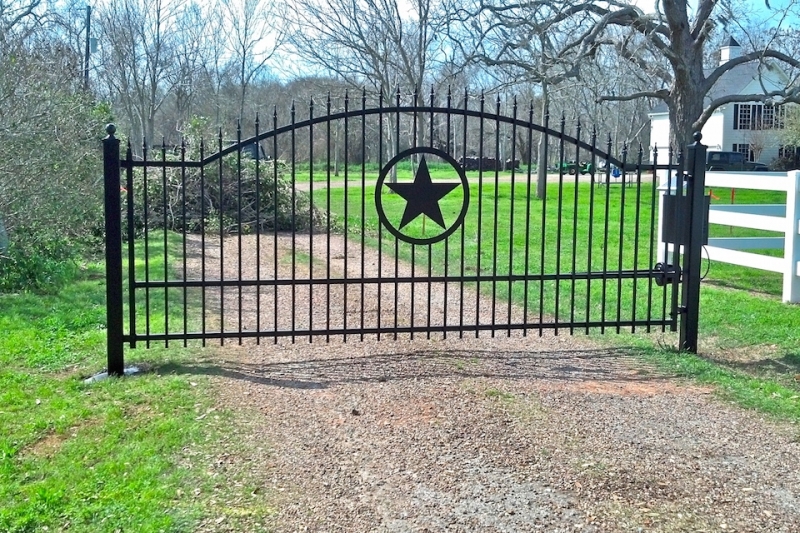 It is similar to our Avalon style, but has three cross runners rather than four. 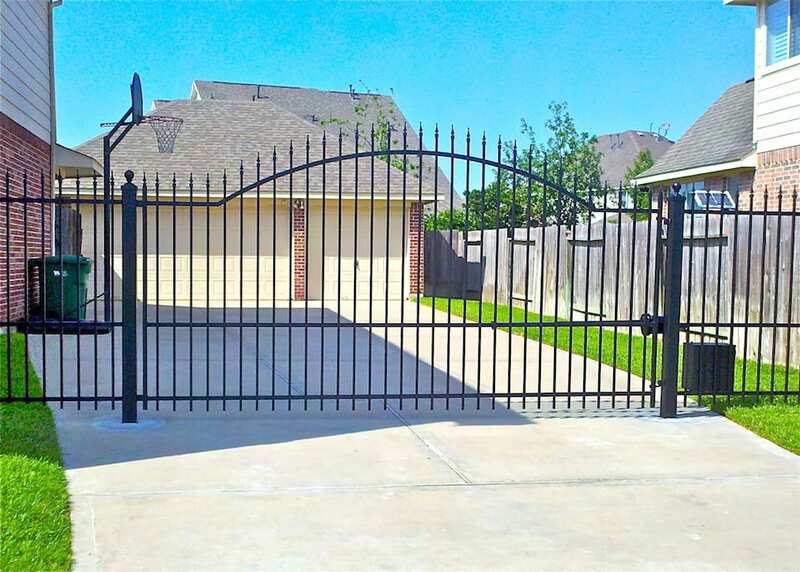 This gate can be built with a picket point top, or smooth rail top, Since the three cross rails are not as much support as four we only offer this gate up to 13′ feet wide unless we do diagonal bracing. The circle option is not available for this style because of the one rail does not provide a box for the circles. Picket size ¾”. Frame size 1 ¼”. 3 horizontal runners, Support posts 4″ x 4″ set 5′ deep. Primer is dipped for 100% coverage. Finish coat is sprayed with two coats of satin black enamel. 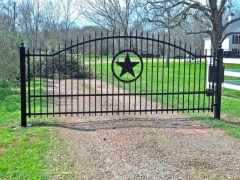 This gate is offered with a picket point top or a smooth top rail. 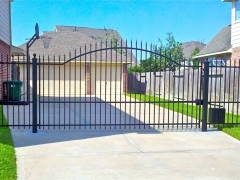 Also we can build this gate with or without an arched top. 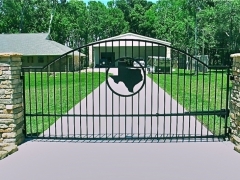 All stated gate sizes are estimated for internet pricing. 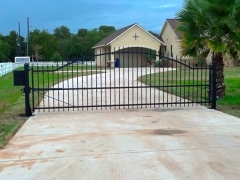 Actual opening sizes or styles may be discussed and changed when we meet you at your home to set the posts. No style or size changes are permitted after the posts are set and the gate is under construction. Width of Fence - If needed? 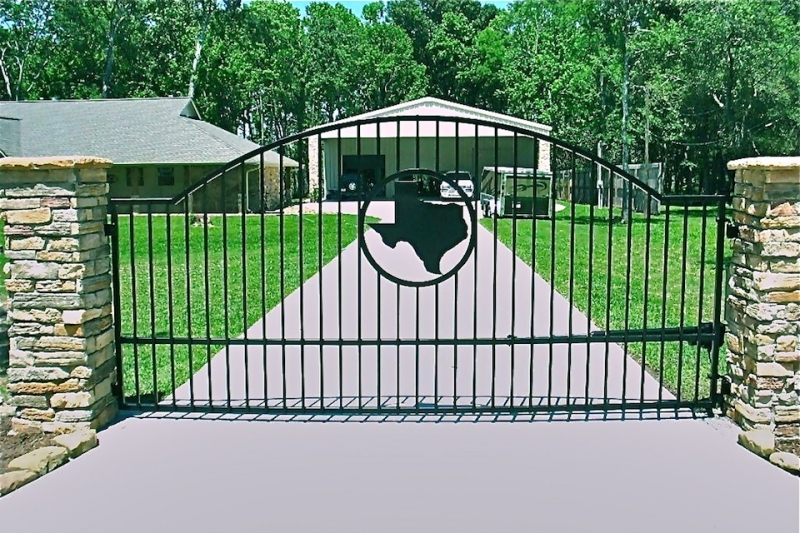 Note: This field is to be used only if you need fence on either or both sides of the gate. Please include the total estimated length. Do not include the width of the driveway (gate width). HELPFUL TIP: One large step is roughly 3 feet. Do you need a keypad?